Are you trying to figure out what the newest cruise ships are in Royal Caribbean's fleet? 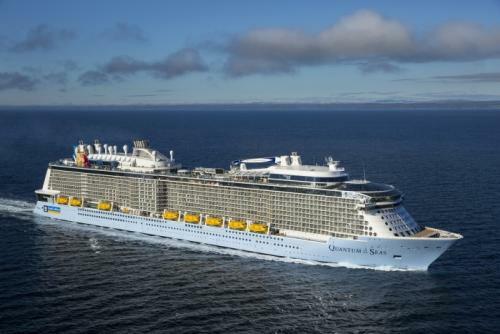 Here is a breakdown of the top ten newest Royal Caribbean ships. Last refurbishment: 2016. Next one scheduled for 2021. Last refurbishment: 2015. Next one scheduled for 2020. 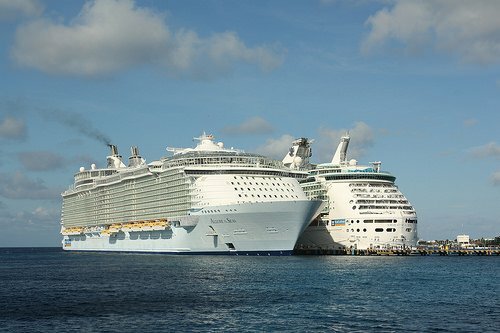 This guide to Royal Caribbean ships contains short reviews of the best cruise ships based on a variety of considerations. If you are planning to take a cruise and want the perfect ship for your family, this guide aims to help you. You may be familiar with some of Royal Caribbean's ships, but the different ship classes mean there is a lot to consider. Of course, everyone has different preferences, so we will also provide a brief description of each ship to give you an idea of whether a particular ship might be a good fit for your family. This should help give you an idea of which Royal Caribbean cruise ships are a great choice for you. We are firm believers in the idea that all of Royal Caribbean's ships offer a really fun vacation experience. There is not one ship in the fleet that we would not sail on, but we also recognize there may be some ships better suited for the personal preferences of a family or group. 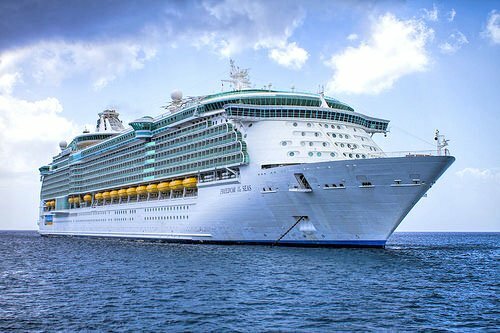 Let's take a look at the best Royal Caribbean ships for every need. Symphony of the Seas - There is no denying Royal Caribbean's newest cruise ship, Symphony of the Seas, is filled to the brim with the cruise line's latest and greatest offerings. Not only does it have the coolest new things onboard, but it has them in spades. Water slides, laser tag, escape room, zip line, Broadway show are just a few of the incredible options available on Symphony of the Seas (with many of those features also available on other Oasis Class ships). Anthem of the Seas - The Quantum Class ships offer a sleek, yet compelling cruise experience that offers guests onboard a lot to see and do. In fact, entertainment is at the heart of Anthem of the Seas, with terrific venues to see it all. In addition, Anthem of the Seas offers the giant indoor sports zone, North Star observation pod and a sky diving simulator. Harmony of the Seas - She may be only the second largest cruise ship in the world and second newest ship in the fleet, but Harmony of the Seas remains a great choice for those wanting lots of fun onboard. 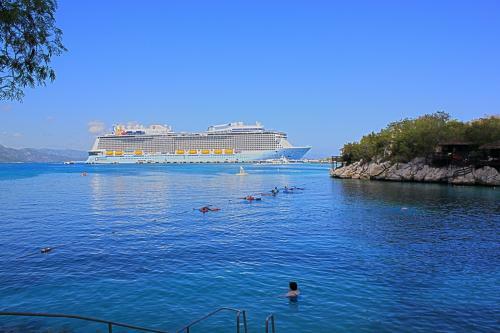 In fact, Harmony of the Seas redefined the Oasis Class of cruise ships when she first offered water slides, an interactive aqua park, a new take on the Boardwalk and more. Taking a cruise on Harmony of the Seas means enjoying some of the best Royal Caribbean offers. Oasis of the Seas - Oasis class ships have redefined what family cruising is all about, and if you have younger children, a cruise on Oasis of the Seas is a great choice. We like Oasis for a few reasons. First, she lacks the slides her newer sister ships have and that is not usually a concern for those with young children. Moreover, she is priced slightly lower (on average) relative to her newer sisters. 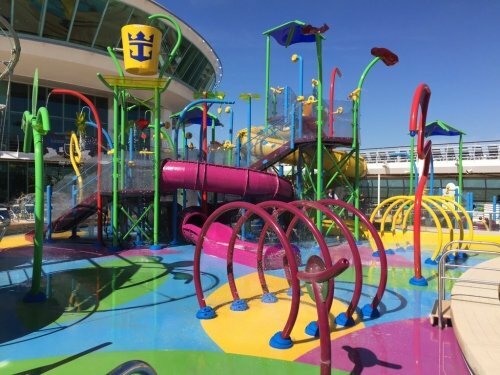 Oasis of the Seas still offers plenty for young kids, such as a baby splash area in the pool, nursery, and open play area in Adventure Ocean. Allure of the Seas - Like her sister Oasis of the Seas, Allure of the Seas is quite similar in her offerings for families with young children. In our experience, having young kids means a slower pace while cruising, but it is important to have the facilities and options for young kids. Allure of the Seas also offers the DreamWorks experience onboard, which means additional programming for kids of all ages. Freedom of the Seas - Families with young children will likely find the best value with Freedom of the Seas. 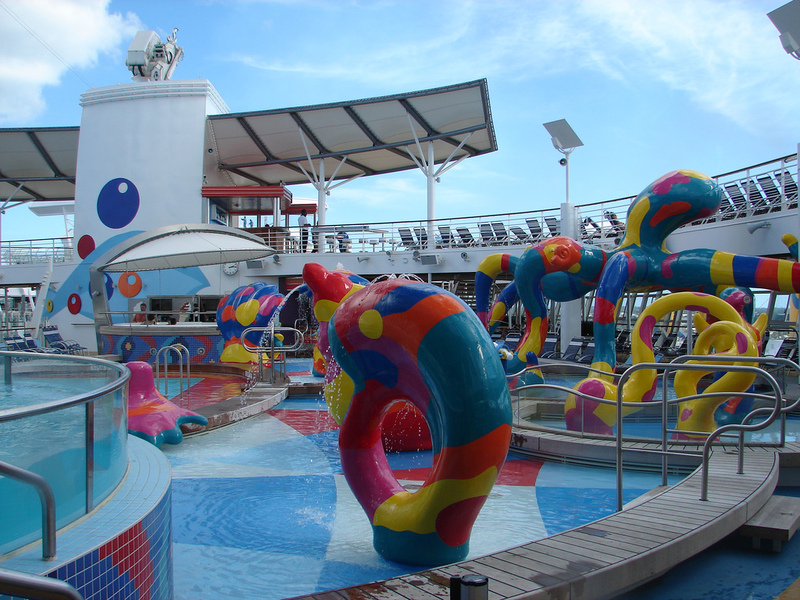 She offers the type of facilities families look for in a cruise ship (nursery, baby splash pool, DreamWorks experience, etc) and is usually priced much less than any Oasis Class ship. Later in 2018, she will move to San Juan, Puerto Rico and that means some incredible itineraries to enjoy alongside a fabulous ship. Liberty of the Seas - If there is one thing older children typically enjoy a lot of, it is water slides and Liberty of the Seas has arguably the best collection of water slides in the fleet. It has racer water slides, which typical now of any Royal Caribbean ship that has water slides, but it is the only ship with the Tidal Wave slide. Liberty of the Seas also offers a rock climbing wall, FlowRider surf simulator, ice skating and more. 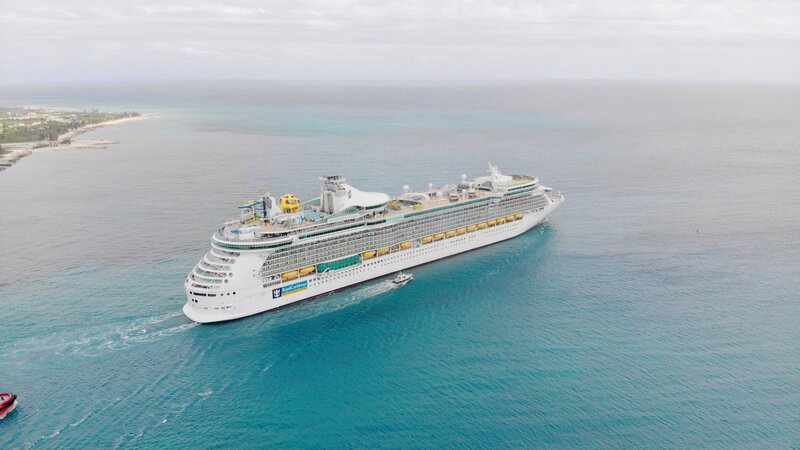 Moreover, Liberty of the Seas is a terrific value. 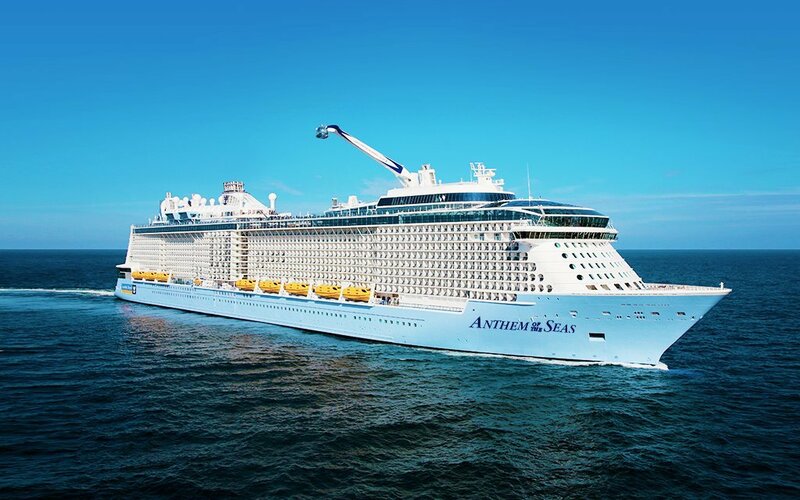 Anthem of the Seas - Older kids will find Anthem of the Seas to be one of the best suited for them, especially teens. The SeaPlex area alone is home to so many activities that are perfect for older kids. Bumper cars, roller skating, XBox, circus school...there is so much. Plus, Anthem of the Seas has the FlowRider surf simulator, Ripcord by iFly sky diving simulator and an impressive teens club. If you are a parent, do not plan on seeing much of your kids if cruising on Anthem (that is not a bad thing)! Symphony of the Seas - The strength of the Oasis Class ships are the staggering amount of activities and things to do. For older kids, having plenty of options is usually the best bet and Symphony of the Seas has plenty to keep the older kids busy. Dual FlowRiders, ice skating, a large Adventure Ocean area, teens club, Boardwalk...that just barely scratches the surface of what is offered. Mariner of the Seas - Following Mariner of the Seas finishes $90 million refurbishment, Mariner of the Seas will call Miami, Florida home in 2018, and will be the first Voyager Class ship to offer short Caribbean sailings. Mariner of the Seas will offer 3- and 4-night itineraries from PortMiami. That means an impressive ship offering the weekend getaways you are looking for without compromising on the ship. Navigator of the Seas - Navigator of the Seas will also offer short Caribbean sailings, beginning in 2019. Navigator of the Seas is a fabulous choice for the amount of fun activities onboard, plus the great prices we typically see on Navigator of the Seas. 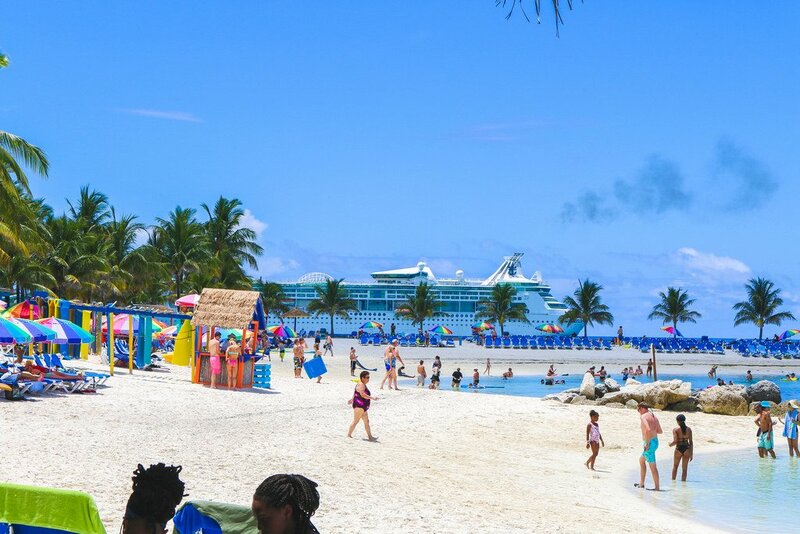 In addition, Navigator of the Seas will offer short cruises with stops in the newly expanded Perfect Day at CocoCay. Talk about an incredible long weekend! Brilliance of the Seas - In the winter, Brilliance of the Seas offers short sailings that mix a great price and a terrific ship. 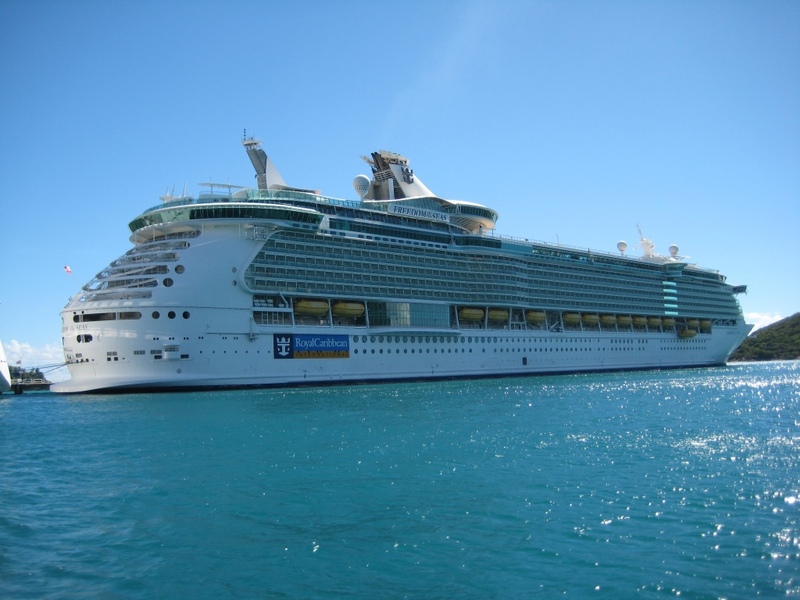 Being a Radiance class ship, weekend getaways on Brilliance of the Seas means a classic, relaxing cruise experience. If your idea of a get away cruise is enjoying drinks by the pool, Brilliance of the Seas is a perfect choice for you. Harmony of the Seas - Love birds will find lots to do and plenty of time for romance on Harmony of the Seas. Harmony boasts a ton of activities, terrific specialty dining choices, adults-only Solarium, a beautiful spa and more. With all of the fun things to do onboard, we think Harmony of the Seas is a great choice for honeymooners that want fun in the sun. Freedom of the Seas - Of all the cruise ships we have cruised on, Freedom of the Seas stands out as a great ship for nearly any cruiser. It offers a well-rounded cruise experience, with enough activities and dining choices to cater to any honeymooner. On top of that, Freedom of the Seas is priced so well, that a honeymooner can likely get more for their money and perhaps upgrade to a higher category stateroom than if they went on a newer ship. Anthem of the Seas - Going on a honeymoon? 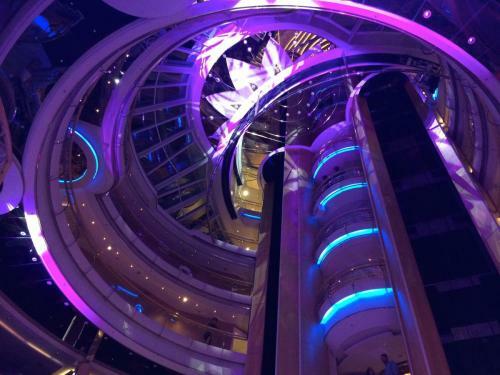 Anthem of the Seas is hard to beat as a great option. You can sip a fine wine at Vintages, take a dip in arguably one the most beautiful adults-only Solarium, watch the sunset from North Star observation pod, or maybe just enjoy a brunch date on your balcony. With sailings to Bermuda, the Caribbean, Canada and more, Anthem of the Seas is a new ship with lots of options. Empress of the Seas - One word: Cuba. Perhaps no cruise stop in the Caribbean is as intriguing or fun to try as Cuba. 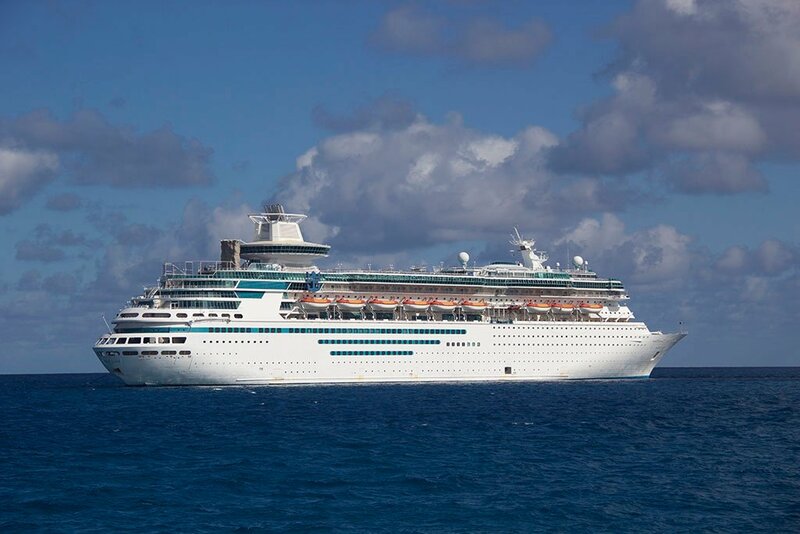 Empress of the Seas was refitted specifically for the Cuban cruise market, and is the best choice for taking a cruise that will bring you to any one of the Cuban ports of call. In fact, Empress of the Seas also offers to stops in Cuba beyond Havana, which means a greater opportunity to tour this newly opened up country. Ovation of the Seas - Australia, the South Pacific, Alaska...a cruise on Ovation of the Seas is very likely to bring you to some of the most beautiful spots on the planet. Perhaps no other Royal Caribbean cruise ship can boast the sort of impressive itineraries that Ovation of the Seas enjoys. Being a Quantum Class ship, she offers an equally fun time onboard as well. Rhapsody of the Seas - If exploring Europe is more your game, Rhapsody of the Seas will take you to some of the most beautiful European ports around. Visits in the Adriatic, Aegean and Mediterranean seas will bring you to iconic ports of call. 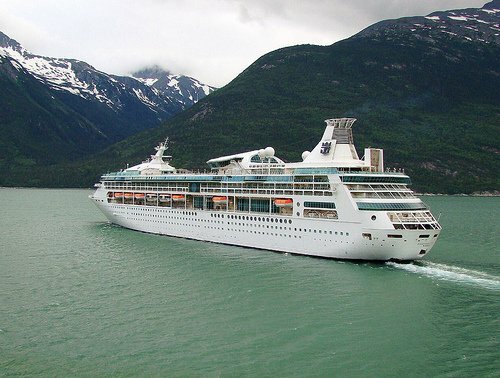 Rhapsody of the Seas is no stranger to Europe, having become a stalwart of Royal Caribbean's European cruising season. Majesty of the Seas - If your goal is to get on a cruise ship for as little money as possible, Majesty of the Seas is typically the first place to look. Sure she is an older ship, but Majesty of the Seas offers the kind of chill cruise experience we all need from time to time. Majesty was recently updated and has several whirlpools, plenty of bars, a revamped casino, and full-service spa. 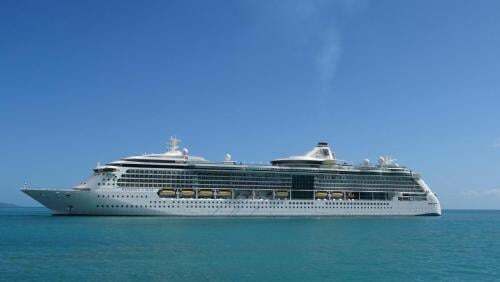 Majesty of the Seas often has some of the lowest cruise fares available on any Royal Caribbean ship, so it is unlikely to break any budget, regardless of time of year. Enchantment of the Seas - Enchantment of the Seas combines a fun ship experience for bargain prices. There are some great dining choices onboard, an expansive pool area, and all for a price you will likely not have to think twice about. For families, Enchantment of the Seas packs a lot into a small package, with an outdoor poolside movie screen, three pools—including the adults-only Solarium—and six different whirlpools. After a day spent lounging, there’s plenty of nighttime entertainment, like Broadway-style shows in the main theater, blackjack at Casino Royale, and eight different bars and lounges. Mariner of the Seas - By offering short 3- and 4-night cruises, Mariner of the Seas is set up to offer a big ship experience for a small ship price. Those that want to save money, but not compromise on the onboard experience may find the perfect fit with Mariner of the Seas. With a full-sized basketball and volleyball court, as well as a rock-climbing wall that shoots up 200 feet above the sea, there’s no shortage of athletic action onboard any ship. The Royal Promenade regularly hosts parades, dance parties and many wonderful bars. Which Royal Caribbean ships are your favorites and which might you skip? Do you agree or disagree with our ratings? If you have not taken a Royal Caribbean cruise yet, which cruise ships are you most excited about? Hearing from you is half the fun, so please share your questions and thoughts in the comments! Are you wondering what the differences are between Royal Caribbean's ship classes? Here is an easy-to-understand breakdown of each class of ship, and what they offer. The largest cruise ships in the world, Royal Caribbean's Oasis Class ships offer the latest and greatest features found on any ship in the fleet, as well as in the industry. The Oasis Class ships can handle just about 5,500 passengers and have a gross tonnage of over 225,000 tons. If you are concerned about crowds and navigating a ship of this size, Royal Caribbean has you covered. 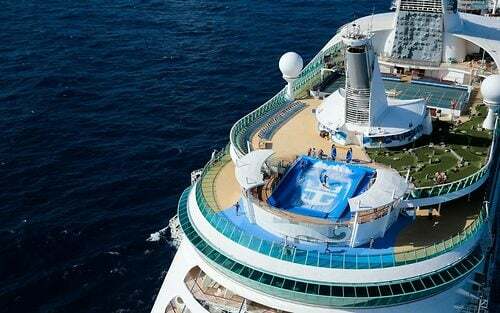 Royal Caribbean designed the ship to be easy to get around, and break up crowds. Seven neighborhoods help distinguish parts of the ship apart to guests, and there are so many activities on Oasis Class ships that everyone will be on their own schedule. Why choose Oasis Class: You want it all on one ship! The latest features, tons of activities, and great dining. The innovative Quantum Class ships were designed to user in the 21st century with a blend of high-tech, and tried-and-true family vacation experiences. These stylish new ships offer incredible views and activities onboard. Quantum Class ships have signature features found just on these ships, and are a big hit with families of varied ages. Quantum Class ships are the sort of cruise ship that has something for everyone to enjoy, whether you are new to cruising or an established veteran. In 2019, Spectrum of the Seas will launch, becoming the first Quantum Ultra Class ship. The revolutionary Quantum Ultra ship will specifically be designed for guests in China and the Asia-Pacific region, and will feature cutting-edge and unprecedented experiences and amenities. Why choose Quantum Class: Families looking for lots to do onboard, along with some incredible features. Royal Caribbean's Freedom Class ships offer a big ship experience, with plenty to see and do onboard. In fact, Royal Caribbean has added new features over the years, and plans another round of updates beginning in 2020 (although Independence of the Seas will get her update in 2018). Freedom Class ships represent an excellent value for families that want to cruise on a large ship, have lots of activities, but not break their budget. From a pure value standpoint, the Freedom Class ships are a great choice for a fabulous cruise experience. Freedom Class ships are essentially a slightly larger version of their Voyager Class sisters. Why choose Freedom Class: Big ship experience, minus the premium price tag that the newer ships in the fleet currently command. When Royal Caribbean introduced the Voyager Class, it revolutionized the industry with features and activities that we cannot dream of not having on a cruise ship these days. Mini-golf, the Royal Promenade, ice skating and more all had their start on the Voyager Class. Just like the larger Freedom Class ships, Voyager Class vessels are a terrific value, and offer some incredible itineraries. Royal Caribbean is not done investing in these ships, having added new restaurants, surf simulators, aqua parks, entertainment and more over the last few years, with another round of updates beginning in 2018 and going through 2019. Why choose Voyager Class: Plenty to do onboard, newly added features and terrific pricing. It is a great choice for families looking to save. Radiance of the Seas combine lots of glass and open areas to provide guests with a classic cruise experience. Royal Caribbean's Radiance Class ships are stylish, and get into many of the smaller cruise ports around the world that Royal Caribbean's larger ships cannot. Radiance Class ships do not skimp on things to do, offering varied dining experiences, as well as terrific live entertainment. Veteran cruisers enjoy the Radiance Class for the ship's refined offering and easy going atmosphere. Why choose Radiance Class: Beautiful ships that offer a time-honored cruise experience, with a connection to the ocean itself. Royal Caribbean designed their Vision Class ships to fit into almost any port, which means guests can travel to exotic ports of call around the world. Like the Radiance Class, Vision Class ships combine a small size with many activities that have been added over the years. 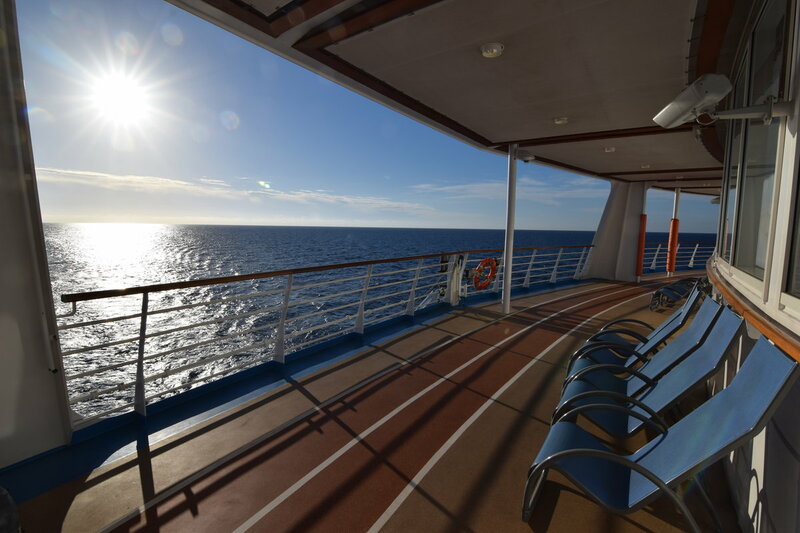 Whether you are looking to "do it all" or just relax, Vision Class ships are a good choice. Why choose Vision Class: Impressive itineraries that other ships in the fleet cannot offer. 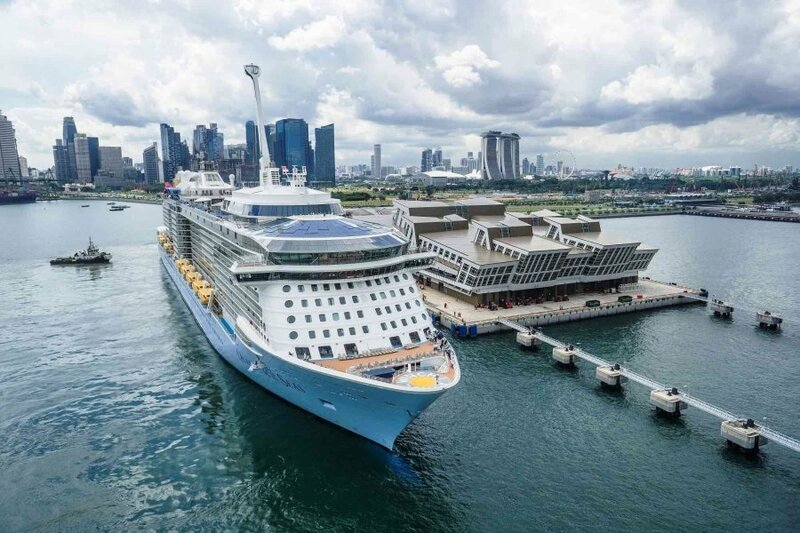 Do not judge the last Sovereign Class ship by her age or size, because Royal Caribbean has been updating her regularly to keep her in-line with the rest of the fleet's offerings. Those looking for a quick getaway will find a splendid choice that is perfect for relaxing by the pool, visiting nearby ports of call, and enjoying taking this easy. 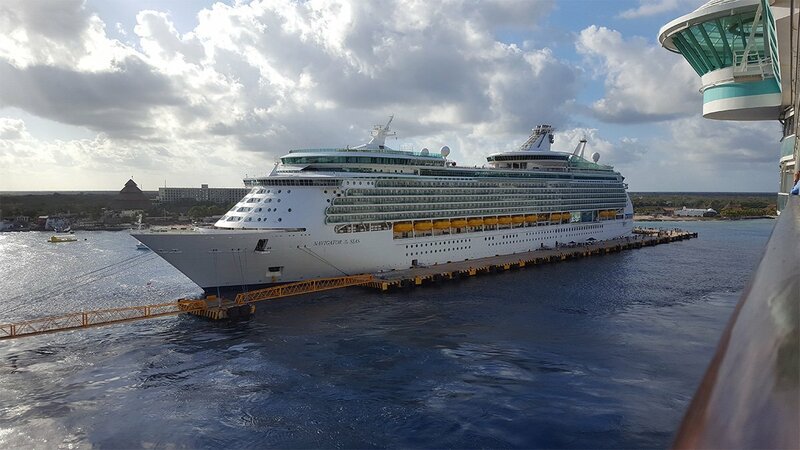 Majesty of the Seas received a large update in 2016, along with regular maintenance work that offer a fun ship experience. Why choose Sovereign Class: Getaway cruises for folks that want to relax by the pool, have a beach day, and get away from it all. When Cuba opened up as a port Royal Caribbean could bring their guests to, Empress of the Seas returned to the fleet to do just that. Empress of the Seas is the smallest Royal Caribbean ship, but it is designed for short cruises that bring you to Cuba and other destinations in the Western Caribbean. Cuban culture is reflected throughout Empress of the Seas with cortaditos and café con leche in Café Royal, salsa music and dancing in Boleros Latin lounge, and a range of onboard activities developed to bring the spirit of the island to life while at sea. Why choose Empress of the Seas: Cuba, Cuba, and Cuba. Plus, a relaxed cruise atmosphere (did we mention she sails to Cuba). Something to keep an eye on will be Royal Caribbean's Icon class ships, which promise to bring us a new evolution in cruising. Royal Caribbean has been quiet on exactly what the Icon Class will offer, but these new ships will handle about 5,000 passengers and will be built using new fuel technology including liquid nitrogen gas and fuel cells. This technology has been used on space shuttles and satellites for years, and is a much greener way of powering ships. The first two Icon Class ships will debut in 2022 and 2024. Royal Caribbean has 21 ships in service today along with another handful of ships on their way and each has a name that help make each ship unique. Did you know Royal Caribbean has had other names for ships that never got used? When Royal Caribbean builds new cruise ships these days, they register for a trademark for many possible ship names but not all names get used for reasons we may never know. Searching through the Trademark Electronic Search System, we found a list of ship names Royal Caribbean registered that never used and it got us dreaming about the "what if's" with these names. First up is Endeavour of the Seas, whcih was registered on September 17, 2004, which was the same day they registered for Freedom of the Seas. In fact, Endeavour of the Seas was originally the name of the second Freedom-class ship before ultimately being named Liberty of the Seas. Even to this day, www.endeavoroftheseas.com redirects you to Royal Caribbean's web site. Royal Caribbean registered the name Journey of the Seas back on February 16, 2001, which was also the same day it registered Jewel of the Seas. In late 2012 Royal Caribbean applied for six trademarks for new cruise ship names but ultimately only used two of them (Quantum & Anthem) so the other four names appear to be abandonded as well. Which ship name do you think Royal Caribbean should have used? Add your suggestion in the comments below! 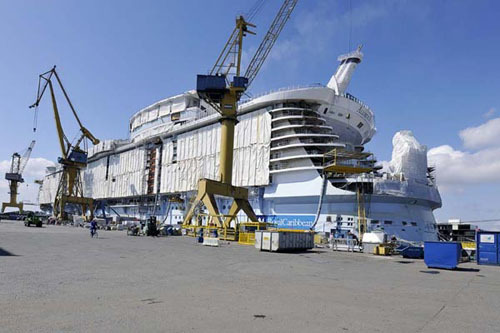 Royal Caribbean tends to build the biggest ships first. The other 3 cruise lines compared were Costa Cruise Lines, Carnival and Norwegian cruise lines. I don't have much experience with Costa, but in terms of Carnival and Norwegian, I found the review to be about what I expected to read. There's a big debate about the food on Royal Caribbean versus Carnival and the price issue, well, you do get what you pay for in many cases. By in large, Royal Caribbean fared well in the review and came off sounding like a high quality cruise line. AllVoices also posted a review of Enchantment of the Seas and it's a pretty favorable one at that. The review covers many aspects of the ship from it's dining options to entertainment to its rooms. If you have a cruise coming up on Enchantment or are considering a cruise on her, this might be a good read. The dining room staff is top notch. They are personable as well as professional. The quality of the food is superior, and it is served in a timely manner. When multiple appetizers, entrees, or desserts or ordered, there is no delay in their arrival. Like all cruise ships, Enchantment of the Seas will provide some entertainment most nights during the dining experience. The reviewer seemed mostly positive on Enchantment and only mentioned a few negatives such as, "The entertainment is good but not exceptional unless you happen to draw a particularly funny comedian or really enjoy musicals". Overall, the review seemed to be highly favorable.